Sunday. The day of rest and relaxation for most people. Yet for me, Sunday signifies a day of café-hopping, filling my belly with good coffee and delicious meals to slip me into a food coma for the rest of the day and forget that tomorrow is Monday. This definitely isn’t replicated in France. Wandering around the Croix Rousse area of Lyon on a Sunday, I became agitated and hungry (fungry) with no luck in finding a decent restaurant open to accommodate my growing desire for rich, gluttonous French food. 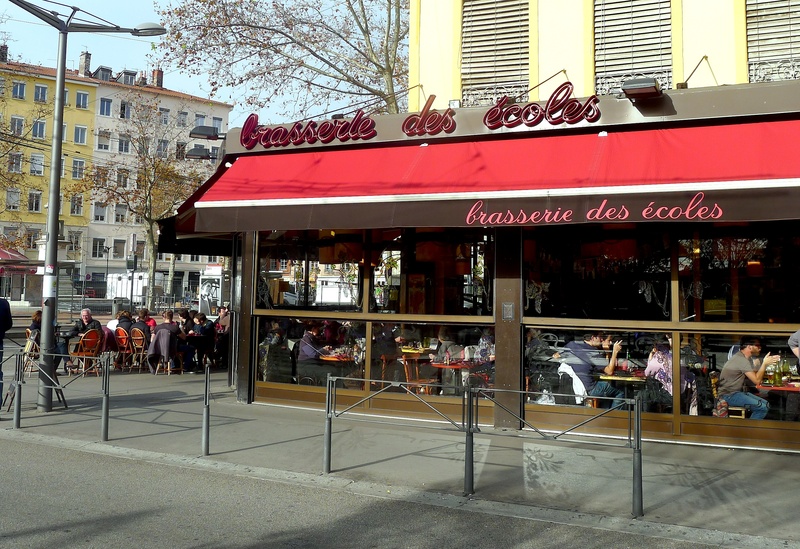 When suddenly the food gods answered my calls, landing us right in front of Brasserie des Ecoles. 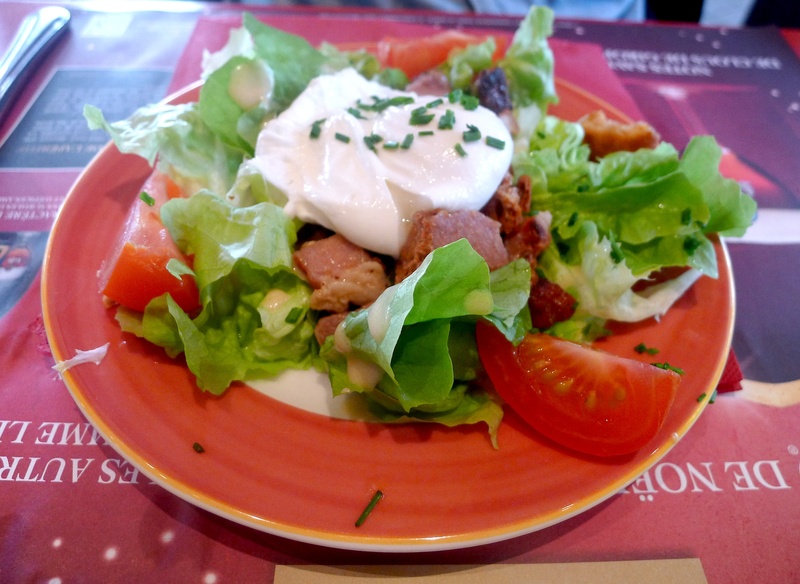 Definitely not your fanciest restaurant, the Brasserie is where you will find traditional french cuisine, with an emphasis on the local Lyonnais love for meat and everything heavy. And when your stomach is grumbling this is definitely the right place, with a two-course meal (trust me you don’t need the third) setting you back only 16 euros. 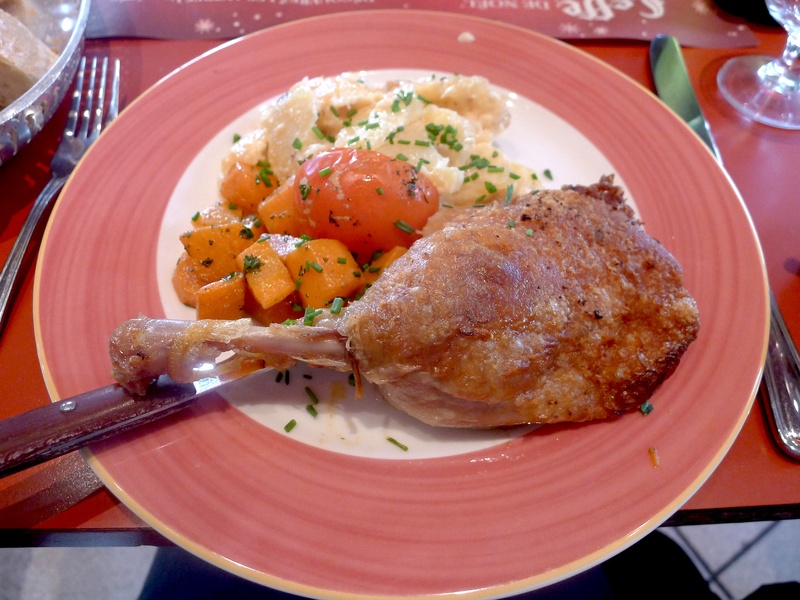 Settling my hunger pains, we moved on to a main of confit duck and a tartiflette. 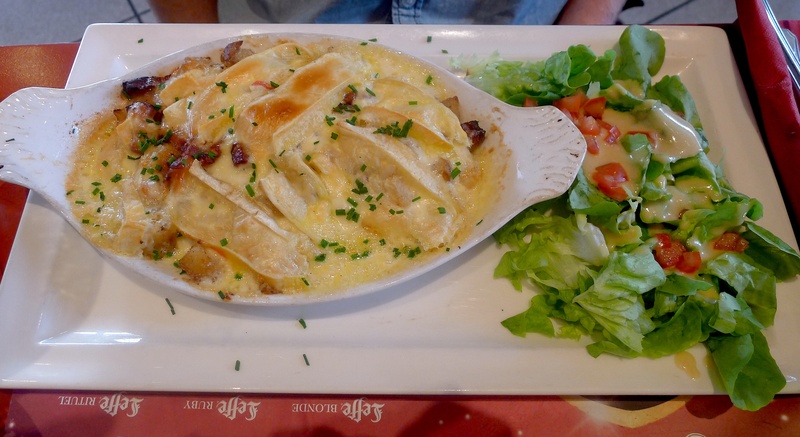 Now for those of you who don’t know tartiflette, I feel both sorry for you and excited to introduce this cheesy, fatty, obesity-inducing concoction. Traditionally eaten in the Alps of France after a long day skiing (ie any time, any climate for me), a tartiflette consists of fried potatoes, a tonne of cheese, bits of bacon, and more cheese baked in the oven to create an oozy, cheesy, delicious mess. And yes, I could definitely do dessert seeing as I shared an entrée. 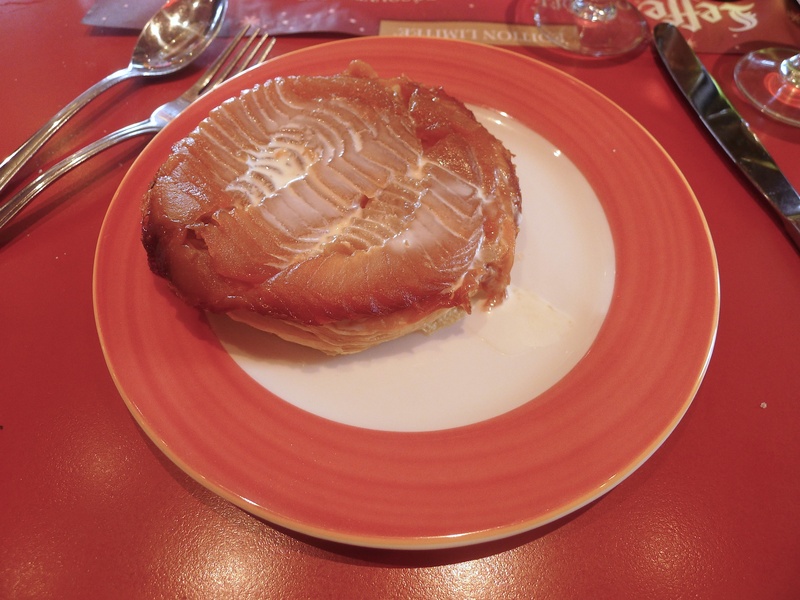 Definitely not the prettiest thing, I went for the traditional tarte tatin, an upside down apple tart covered with créme fraiche. Although not usually the best option after a heavy meal, this tarte tatin was surprisingly light, the perfect end to a great meal.